A standard passenger vehicle in the state of New York requires a basic Class D driver's license. However, a special license or endorsement may also be required to drive some commercial or passenger vehicles. Most applications for a special licenses or endorsements can be completed through the New York Department of Motor Vehicles (DMV), though some will require interactions with other agencies. Below you'll find the general information to get started. For more information about obtaining a commercial driver's license in NY, check out our New York CDL applications page. If you frequently travel by land or sea to Canada or Mexico or some other countries in the Caribbean, applying for a New York enhanced driver's license (EDL) could make your experience easier. In New York, EDL holders may travel across these countries' borders without a passport. Be a New York resident. Complete an Application for Driver License Or Non Driver ID Card (Form MV-44). There is an additional $30 EDL fee in addition to your standard NY licensing fees. For detailed information on converting your NY regular driver's license to an Enhanced NY license, please check out the NYS DMV's guide to early license renewal and conversion. Licensing requirements for taxi drivers, limousine drivers, or chauffeurs will vary according to where you live within the state. Drivers throughout New York State are regulated by the DMV and require a Class E license. Drivers working in New York City are regulated by the Taxi and Limousine Commission (TLC) and will require additional permits and licenses. For-hire drivers in the state of New York will need to obtain a Class E driver's license to operate taxis, limousines, and some vans. Surrender your Class D driver's license to the DMV. 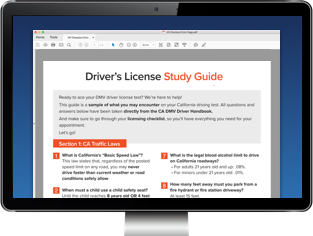 As long as you've taken the written, road, and vision tests required for a basic Class D driver's license, additional examinations will not be needed. If you don't have a Class D driver's license, additional testing may be necessary. You will follow the process for applying for a NY driver's license, but you will apply for a Class E, rather than a Class D.
Provide proof of identity and birth date. Typically this will be your Class D driver's license. If you do not have your Class D license, you will need to show acceptable proof—see our guide to applying for a NY driver's license for details. As fees are tallied based on your current license expiration date, the DMV cannot give you a total cost until your licensing appointment. To operate taxis, limousines, or other for-hire passenger vehicles within New York City, you'll have to apply for additional licenses and permits through the Taxi and Limousine Commission (TLC). You must be at least 19 years old to apply. Online through the TLC's Lars application portal. If you apply online, you will fill out the application and pay the required fee through the TLC's portal. You'll then get an e-mail with an in-person appointment date/time, where you will bring the necessary additional documents, and have your photo/fingerprints taken. In person by scheduling an appointment. By scheduling an appointment in-person for the full application process, the TLC will e-mail you a date and time for your application. You'll need to bring all documentation with you, plus payment for your fee. You can complete the Application for a TLC Driver License (Ver. 2017) prior to visiting the TLC office. BEFORE you submit your application, you must complete a required video training by the TLC, viewable on their website. See the TLC's New Driver Application Checklist for details and a link to the video. In addition to filling out the application materials, you will need to meet the following requirements and provide the listed documents. All requirements must be met within 90 days of submitting your application, including completion of any applicable training courses. Submit the Application for a TLC Driver License (Ver. 2017). Provide proof of Social Security number (SSN). Submit your valid NYS or out-of-state chauffeur license or its equivalent. For NYS licenses, the TLC will accept Class E, A, B, or C driver licenses. If your license is from out of state, you must also submit a certified driving record dated within 90 days of application. Proof of a completed defensive driving course dated within the last 3 years. A Medical Certification Form—New Application (Ver. 2017) completed by your doctor. There is a $32 drug-testing fee IN ADDITION to standard licensing fees listed above in Section 1. You must file your application BEFORE taking the final exam for your courses. For information and a list of schools, visit the TLC's Driver Education resource page. Currently have an active 19A commercial driver's license status. Submit proof of a completed defensive driving course dated within the last 3 years. Currently maintain an active 19A commercial license status. The TLC New Driver Application and Checklist Requirements has further important details, as well as licensing information pertaining to military, veteran, and NYPD applicants. Please consult this checklist before applying to ensure you have everything you need to get started. Additionally, you may wish to look at the TLC's application FAQs page for other questions you may have about the process in New York City.